I never thought my family had any connection to Baltimore, Maryland. My dad's grandparents were born in Poland and settled in Michigan. My mom's grandparents also were born in Poland, but they settled in Pennsylvania. Even though I studied history in college, with a primary focus on 20th century United States History, I blindly assumed that all of my great-grandparents entered the United States through Ellis Island in New York. Two years ago, I did some genealogical research about my great-grandparents, and I was lucky enough to find records from Poland about some of my great-great-grandparents. One of the discoveries that surprised me was that not all of my great-grandparents came to the United States through New York before settling in Michigan or Pennsylvania. My mom's paternal grandparents lived in Massachusetts, and were married there, before settling in Pennsylvania, and one of my dad's grandmothers and one of my mom's grandfathers entered the United States through Baltimore. I also learned that Baltimore has its own Polish neighborhood called Little Poland that Polish immigrants have called home since the 19th century. Little Poland has seen most of its second through fourth generation Polish-American families move to different neighborhoods and cities. They closed up their shops when they moved, leaving the neighborhood with a little less of a Polish feel than it probably had fifty to a hundred years ago. Thanks to a recent Washington Post article about Little Poland, I knew where to find some of the Polish elements that remain. 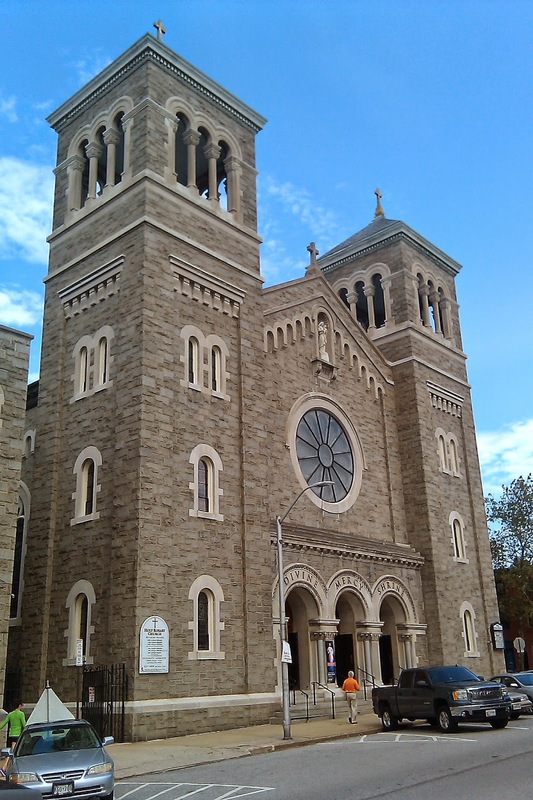 First, I visited Holy Rosary Church. I found a parking spot on the street about a block away. The church is beautiful. Like most old Roman Catholic churches, it is full of paintings and statues of saints. Despite its large interior, no columns support the ceilings towering above the pews, so views of the altar are unobstructed.